Dom Goor launched his first collection in 1993, and having always a passion for luxury fabrics, his designs naturally fell into predominantly leather and cashmere pieces. Most of the Dom Goor collection is made in their East London workshop and factory, with materials individually selected, matched and hand-cut before being stitched by a single machinist. Dom designs can be found in some of London’s most prestigious fashion houses. Harvey Nichols has stocked Dom’s creations season after season. His reputation has made his designs a cult celebrity winter fashion must have, dressing the likes of Nichole Scherzinger and Rita Ora. 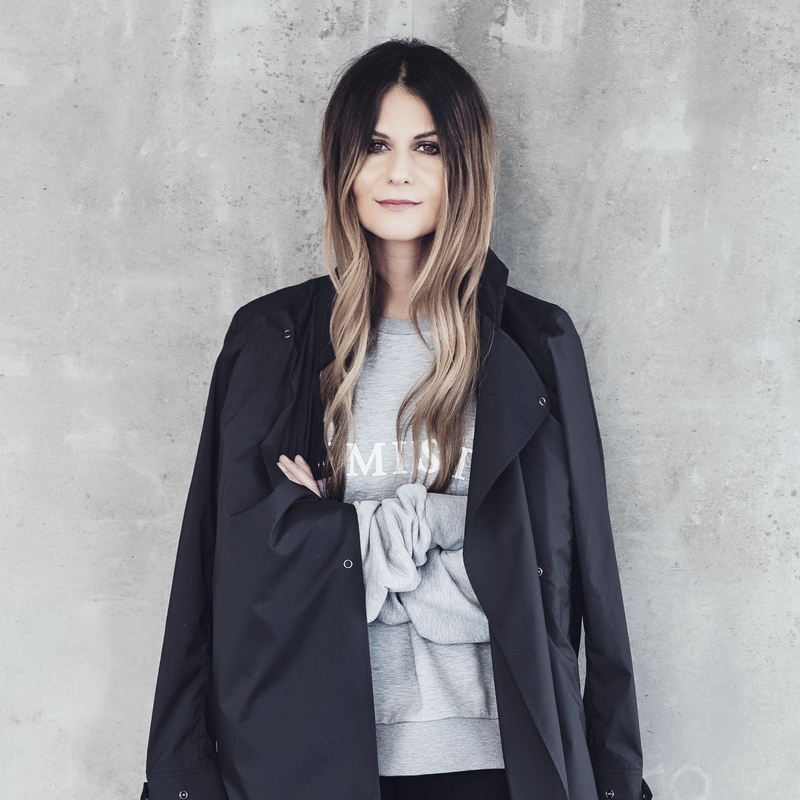 When Erna Leon, founder of MERCER7, met DOM GOOR, she instantly fell in love with the designer’s leather leggings which quickly became a wardrobe staple in the MERCER7 EDIT. Fast forward two years and the design collaboration was born just in time for the Scoop London trade show at Saatchi Galleryin January 2018, where two designs were presented to buyers for the first time. 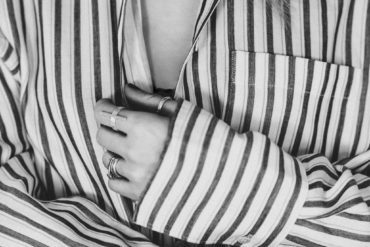 Erna has a fashion design background, working for brands like Halston and Calvin Klein Jeans, and loved having the opportunity to collaborate with DOM GOOR. 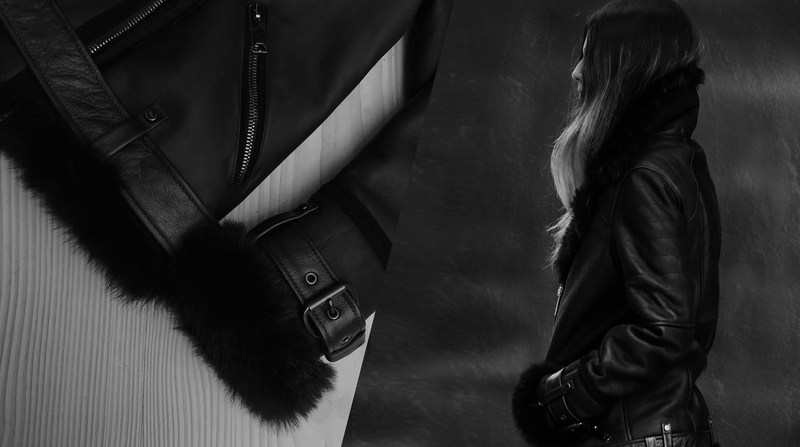 MERCER7 is known for featuring timeless and versatile wardrobe essentials with a rock’n’roll edge, so an all black shearling aviator biker jacket and a classic reversible shearling coat were natural choices. Everything from sketching initial ideas and draping first samples to the production of both pieces was done at Dom’s East London factory . Both jackets utilise the highest quality shearling from ethically sourced sheepskin in Spain and are made using the best Italian hardware. 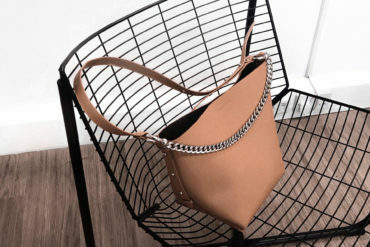 The quality and attention to detail is what makes both styles unique and a great investment that you can wear year after year.